Artist Yang Fudong started to teach in Experimental Image Studio in September 2010. In the spring of 2012, he curated Limited Knowledge, an art creation project through a ten-day journey to Dunhuang, involving students of the Experimental Image Studio. It was a period of walking about, filming, conducting discussions, engaging in creation while surrounded by the artistic ambiance of the Dunhuang geo-culture and its grottoes. Limited Knowledge is about seeking greater freedom – just like students, in the dry wilderness, seeking opportunities of survival, uncovering one’s self amidst limited choices. Limited Knowledge also is about nighttime discussions interspersed in the journey, where everyone speaks about their own pictures, videos, and thoughts; a kind of miniaturized, utopian Dunhuang life on video, rather than a topical creation. 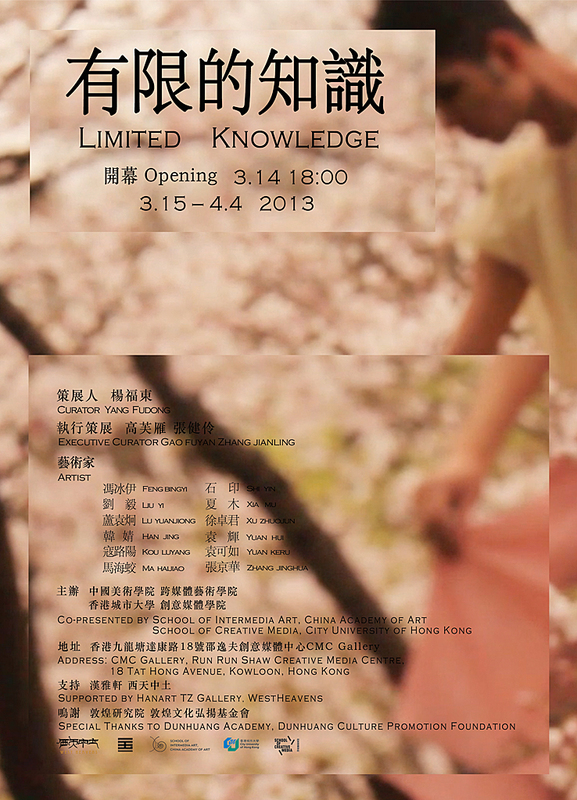 As the first exchange program between School of Intermedia Art, CAA and School of Creative Media, CUHK, Limited Knowledge will be co-presented in CMC Gallery on March 14, 2013. We are honored to invite you to the exhibition structured as a journey which showcases on-going video artworks from a group of young artists. Special thanks to Hanart TZ Gallery, West Heavens for supporting Limited Knowledge. The Possibility of a Genealogy of the Crowd?